What is home to you? 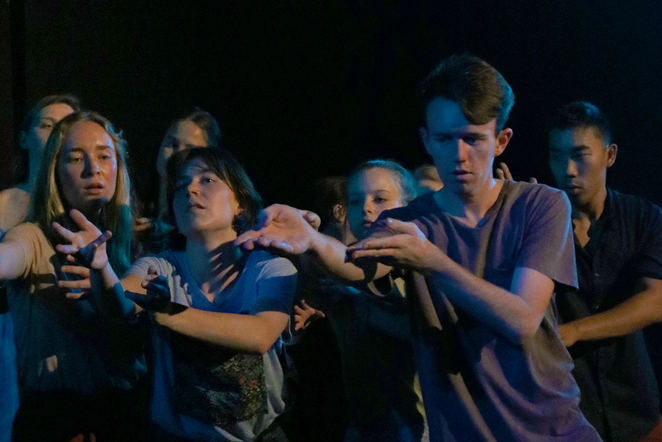 The team at Tantrum Youth Arts have corralled a bunch of emerging artists from Newcastle to develop a piece of theatre that addresses that question and collaborated with PACT in order to get this work on the stage. 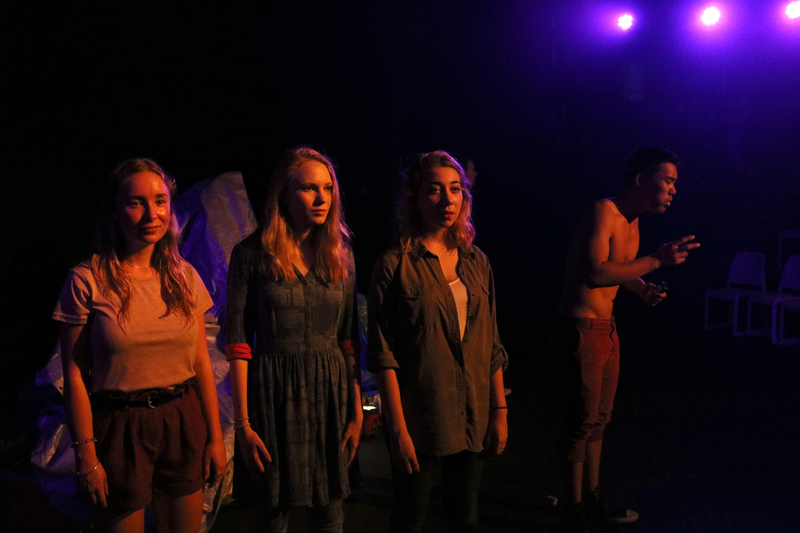 Running at just 70mins without an interval, Home is a snapshot into the lives of these young performers. It taps into the confusion, heartbreak, joy and history of how they came to be in Newcastle growing up with each performer having the opportunity to share their story. Director Janie Gibson has assembled a skilled group of emerging performers who have a broad range of abilities and who work together beautifully as an ensemble. The sound design by Huw Jones (which is played live onstage) perfectly complements the performances and is very engaging to watch. Lighting is used to effectively draw the audience in and make us as much a part of the stories as possible, with a few lovely moments of audience interaction. There is no static set as such, and one of the highlights for me was watching the ensemble construct a moveable set in the opening moments, creating a childlike atmosphere of play. Sheets are draped over boxes, tents are brought out and fairy lights are strung over the front of these little homes. It's fascinating watching these constructions taking place and coupled with the sound design, it's a beautiful moment in the show. 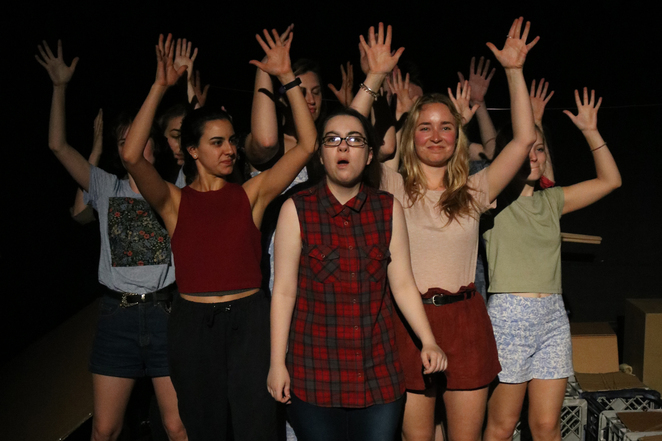 The ensemble cast is a dynamic group of young people who throw themselves into the show with gusto and enthusiasm. Together, they create worlds onstage with poetry, movement and music about what it means to be young in Newcastle. Interwoven stories of migration, war, loss and strength are laced throughout the show, as well as themes of diversity, feminism, family and a rather angry rant about the Baby Boomer generation and the plight of the millennial. Roger Ly's story about his family's escape from the Khmer Rouge in Cambodia is powerful, finishing with leading an ensemble song. 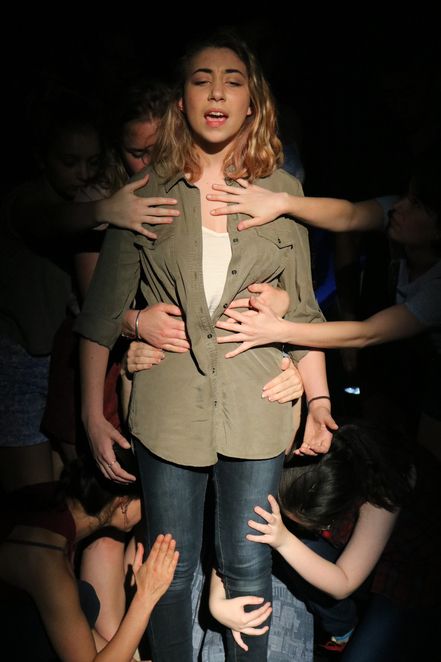 Rosie Scanlan delivers an engaging and thoughtful performance with strong themes of family and belonging, excelling in her moments within in the ensemble. Meg O'Hara delivers a brutally honest rant about the way millennials are perceived in the world and Stephanie Rochet-Cuevas uses her Latin American roots to present a beautifully energetic and physical performance. Alexandra Rose is absolutely captivating when she gets up on the stage to perform a song, and her quiet and subtle performance is moving. 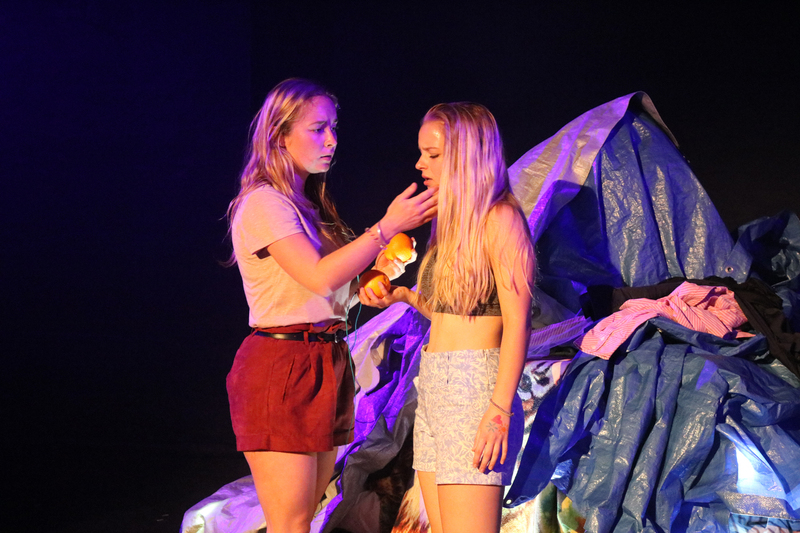 The rest of the Ensemble is likewise impressive: Sara Barlow, Clare Todorovitch, Phoebe Turnbull, Thomas Lonsdale, Meghan Mills and Taylor Reece all deliver strong and engaging performances and their teamwork in creating the piece is evident. Only playing for a very short season, Home is a great foray into devised theatre. The stories are relatable, the work is strong and it's a great opportunity to support young actors and performers as they continue on their creative journey.